So, we're out peddling these new features and we're getting hammered with quesitons about "what is featured news and what is a business quote" feature? We're trying to explain it the best we can based on the webinar AND on your current web site (which only has a very brief rollover text). Can you guys elaborate upon these two topics? My AM is trying to get a sample of the business quote to us, but we need something more. Featured News - Our publishing coordinator works with publishers of nationally syndicated news articles to include your company’s research facts and info in a news related article each month. Business Quote – Each month, our publishing coordinator will contact you and get a “quote” from you about your thoughts related to a relevant news story. This quote is then placed on a magazine style web site across the web. Featured News - We have shot a number of videos on the technique known as "Newsjacking" (see our video blog or Google search). The technique is to grab stories that are HOT and have high audience value because many people are searching for them and add value to the conversation through aggregation, opinion, statistics or other means. Then publish the story as soon as possible after the news breaks so it has a higher likelihood of being found and linked to / cited by others looking for news. This is very different from traditional SEO writing which tends to focus on "evergreen" topics..
To have a benefit for the end-client, we need a linkable asset, such as a statistic, infographic or opinion that helps / aids in the story. Many of our clients have this because we have worked so hard to place well-researched blog posts. The statistics in these blog posts fit well into news stories and will often achieve an editorially-appropriate citation (up to the discretion of the publisher - of course). Business Quote This task type is different because we are actually including the client's name and business directly in the story. This is very common in journalism as you want experts to weigh in on important discussions. These pieces are also very news-oriented, since that is what people are talking about. Example - This morning we did a BUSINESS QUOTE task for a customer in the Internet Marketing space and asked them to comment on FLAPPY BIRD - a mobile app that everybody is talking about. 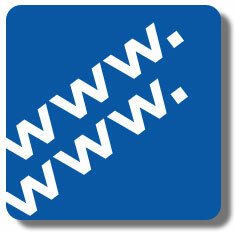 It is a great placement for the customer and will achieve a branded mention (at minimum) and a link if possible. It does help for Business quote and that's easy to explain to a client, now that you've framed this out for me. Still very hazy on Featured News though.. Your explanation was thorough, but how do I break this down on a 6th grade reading level for prospects/clients? Can you give me the elevator pitch version? A simple explanation of what they get, how, and the benefit. No worries. I think you are 70% there. If you have the Business Quote idea down, Featured News is easy.. Same idea: We start with a trending news story. Then we try to work into it a citation to a statistic, fact or other linkable asset that would be helpful in the story..
Real Life Example: Last week we lost a popular actor (Philip Seymour Hoffman). Many news outlets were covering this story for the entire week. We have a publishing partner who thought it would be interesting for their readers. We pitched the idea of including a reference to how many young adults have drug problems the US. We provided a reference to the stats and landed a placement (with a link) to a client who is in the drug treatment space since they have these stats on their blog... Very editorially appropriate, and timely. News-driven. But for this to be successful, the end-client needs to have linkable assets on their website. This means well-researched blog posts full of helpful and accurate statistics. Then we can pitch this research as support material in featured news placements. Ok, so generally speaking, you guys can do this for our client if they're using the "blog" service that also comes bundled with your services?? Because your blog posts that you guys do is generally pretty factual and statistical at times... What I'm trying to understand is that you said that the client has to have "linkable assets" on their web site. You guys are making sure of this through your blog posts, right? Otherwise, this can be a little misleading for a client who thinks they're getting some sort of "featured news" service and now they can't use it because their site doesn't have linkable assets. Do you see where I'm going with this? This stuff needs to be easy to understand for the client. If they dont' have good linkable assets, then they're thinking that this is too difficult because they now are in the linkable asset creation business instead of handing their site off to HS for SEO and having a turnkey service, as we are selling it currently, right?? Ben - Correct If you are posting our on-site SEO posts in a timely fashion, or using our built-in service to post them, we ARE creating linkable assets... Not a problem. So you are correct. 100% turnkey. I included that statement because many SEO Resellers still struggle with this aspect of the service and actually have a hard time getting linkable assets (statistically-driven / helpful / engaging content) on their client's website. Ah, ok. Got it. One last item... A new client (an engineering firm in Baltimore) is looking at our SEO services. He wants to see some examples of the business quote and put my rep and myself on the spot in a meeting. I stupidly said "sure, I can get something over to you". Didn't seem like a big deal. Even a fake one would be fine. We're using the VetHubs monthly reports in the same way... as a sample. My AM said that they're getting them together, but they're confidential, etc. I get it... I'm just stuck. Any ideas? Yes. We have a reseller who is doing a campaign on himself and would be happy to be shared. The story is running today. I will get a task opened to get it to you. YES! Thank you. I'll look for that. HUGE Help. Not a problem. 4763440 was opened and I have a great quote about Flappy Birds for you... Aaron will share it shortly.